That's not just water you are drinking. When you buy water in a plastic bottle you are likely guzzling down a few hundred particles of microplastics along with it. According to a new study, in an analysis of 259 bottles of water, from various brands and countries, scientists found an average of 325 plastic particles for every liter of water being sold. That's roughly twice as many plastic particles that were found in water directly from the tap. The study is alarming and shows just how prolific plastics have become in our environment. And while we know that the microplastic buildup in marine life is causing serious problems in our ocean ecosystems, the World Health Organization says that the impacts on humans have yet to be determined. When asked for their response to the study, Coca-Cola replied that due to the abundance of plastics in the environment, plastic fibers "may be found at minute levels even in highly treated products." That means that Coca-Cola, one of the largest producers of plastic bottles and owners of major bottled water brands like DASANI and Smart Water, thinks that plastics have so infiltrated our daily lives that is would be nearly impossible to keep the material out of our drinking water or environment. This is unacceptable. That is why it is critical that major players in the plastic industry like Coca-Cola immediately implement smarter and more environmentally-friendly policies to help reduce the use of plastics. If we continue to use plastics at the current pace, by 2050 there will be more plastic per pound in our oceans than there are fish! Coca-Cola needs to be the industry standard and commit to using more recycled plastic to bottle their drinks. This would keep more of the material out of landfills and our oceans and incentivize the plastic recycling industry. 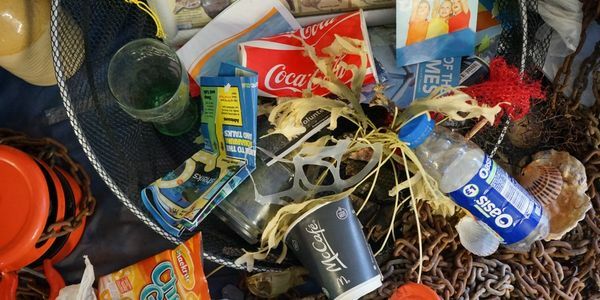 Please sign and share this petition to call on the Coca-Cola Company to lead the way and publicly pledge to set global benchmarks to reduce its use of un-recycled plastic.